A naval engineer who spent months at the quayside in Aberdeen drawing her surroundings has had her work selected for a London exhibition. Kate Steenhauer will have two pieces from her recent ‘Shipyards of Aberdeen’ series selected for the major national event. 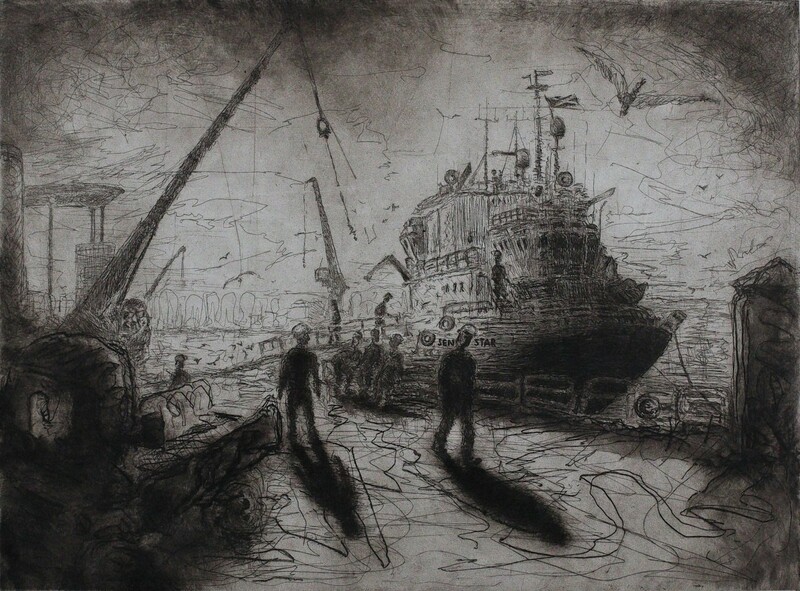 Her artworks offer and insight into the hustle and bustle of the port. Captured have been the everyday scenes, from boat repairs in the dry dock to ducking gulls, loading of supply vessels and the changing weather. Ms Steenhauer said: “To have two pieces selected for the Royal Society’s annual exhibition is brilliant. “It will be wonderful to see one of Aberdeen’s landmarks lined up alongside other artworks from across the UK. “Aberdeen has many beautiful buildings, but I was looking for something different to draw and the harbour provided it. Ms Steenhauer said it wasn’t long before her work attracted the interest of “curious skippers and boatmen” who were keen to get copies of her work. The pieces will show at the prestigious Royal Society of British Artists annual exhibition in London next month. Ms Steenhauer, who was born and raised in Holland, is the principal engineer with Aberdeen-based naval architecture and marine engineering firm Tymor Marine. She spent three-and-a-half months last summer focusing her artistic talents on capturing the activity at the harbour for her 10-piece series. What started as a single pencil sketch grew into a set of 10 drawings, each taking between 20 minutes and two hours to complete. These were then etched onto copper plates by Mr Steenhauer and transformed into a limited run of ink prints. She added: “There is definitely an element of design in my job at Tymor Marine as I work on models for structural analysis, offshore surveys, anode designs and inshore wave analysis. 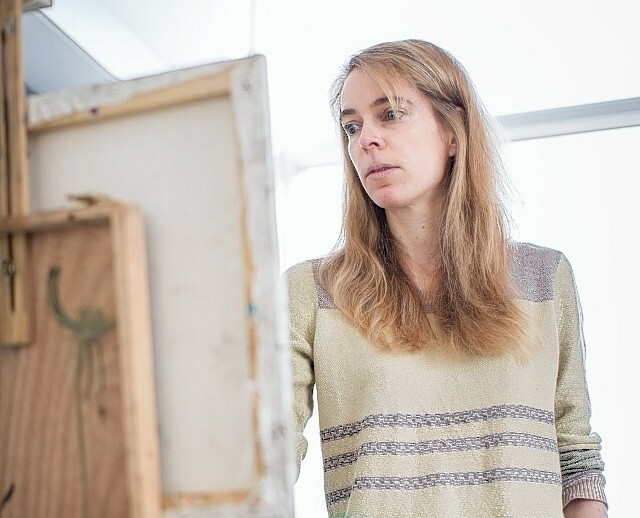 Ms Steenhauer previously won the respected Royal Scottish Academy Award 2013.